Satawal (pop. 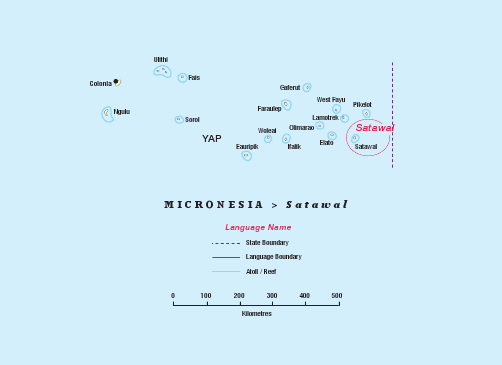 800) is a Micronesian language, part of the Carolinian language continuum, under influence of neighboring languages both east and west but nonetheless strong. The Satawalese are famous for their exceptional navigation skills. 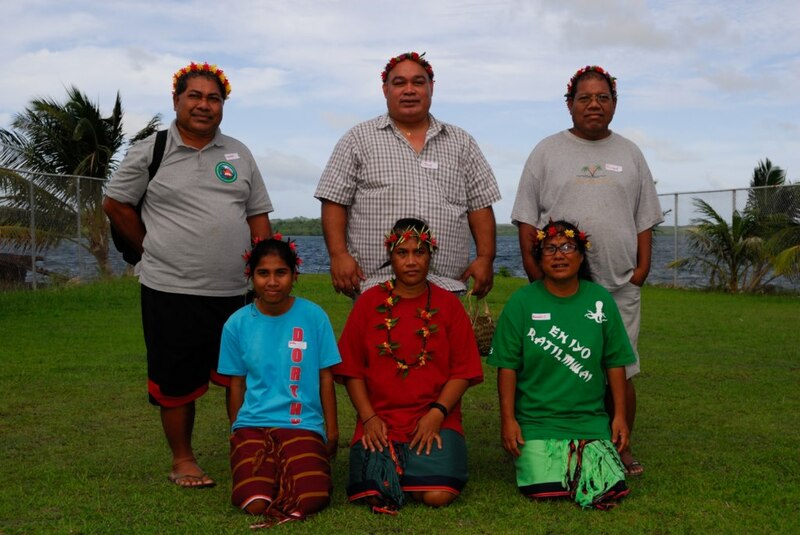 Local customs, as on all the outlying islands in Yap and Chuuk states, are still very strong. In August 2010 translation advisor Cameron Fruit was approached by representatives of the Satawalese community on Yap where he was working with the Woleai translation team. They said they find the Chuukese Bible hard to understand and would like to translate the Bible into their own language. 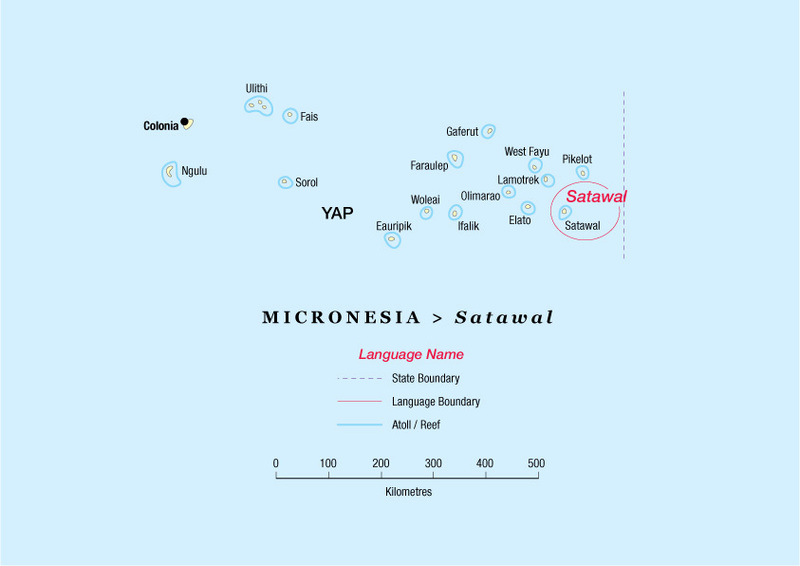 A beginning was made of adapting the Saipan Carolinian translation into Satawalese, using the computer program AdaptIt. This process has speeded up the process of making the initial draft, and ensures that the various translations produced in the Carolinian languages will be of a similar style. At the end of 2016 the first draft of the Satawal New Testament was completed. The team is now continuing with revisions. One of the ways to improve the quality of the translation will be to get community feedback. The translation will also need to be checked by a translation consultant who will make sure the text accurately reflects the meaning of the original text. The Satawal translation team. Left to right, front: Dorothy Nemwarhmwar, Cecilia Lerageyait, Manuelina Ligiteiwel. Back: Sabino Sauchimal, Fr Kenneth Urumolug, Richard Ligiteiwel. Recently, the first draft of the New Testament was finished in Satawal and Niuafo'ou. In the mean time, both translation teams have started on the next steps: a number of thorough checks and revisions of the text.